tory that actually wasn't too great for the Dogs. 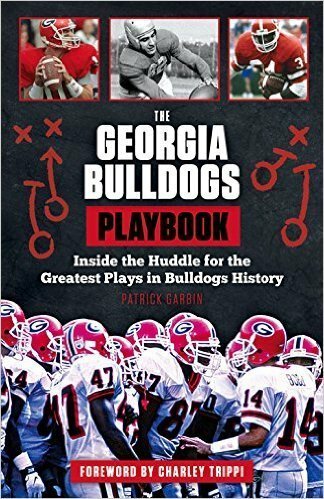 For what it's worth, I recently got some potentially good news: the publisher of my book The 50 Greatest Plays in Georgia Bulldogs Football History is thinking about printing an updated edition for next fall. 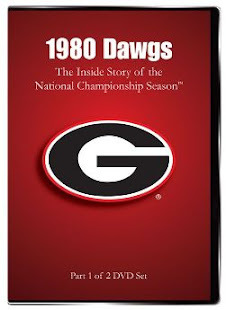 The new version will be in paperback, include more diagrammed plays, and they hope in the what-would-be seven seasons since the initial release, there has been a few new plays which could be replacements for my original top 50 released prior to the 2008 season. At this time, honestly, only one play comes to mind involving Georgia over the last 6+ seasons worthy to be included in a new top 50, and that was a play that actually went against the Bulldogs—that darn "Immaculate Deflection" resulting on the Plains last year at Auburn. You see, according to my publisher, a listing of 50 all-time greatest plays should include "four to six plays" which might have been "great," but rather for the opposing team—to which I agree. However, it kind of stinks when you cannot think of at least one great play executed by the Bulldogs to offset the one that went against them. Because of who the Bulldogs face this week, coupled with the fact that besides the Sanks fumble against Tech, it's the only other play of the four later proven it actually should not have counted, Tennessee's game-tying touchdown trapped on its Tartan Turf against Georgia in 1968 first caught my eye. Besides in my book, I detailed a little over a year ago the erroneous Tennessee touchdown as one of the "worst calls"—good and bad—in UGA football history. 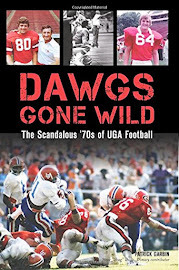 Notably, in my latest book on UGA football, Jim McCullough—Georgia's placekicker in 1968—stated, "Against Tennessee, we felt like a win was stolen from us and a tie was handed to the Volunteers." To get more perspective—a sideline perspective—on the '68 Georgia-Tennessee game, which ended in a 17-17 tie, and the Volunteers' mistaken touchdown, this week I reached out to Charley Whittemore—the Bulldogs' starting split end and leading receiver that season. 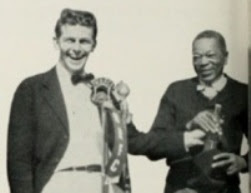 Charley first brought up Tennesse's playing surface at the time—newly-laid Tartan Turf—a controversy in its own right which would ironically aid in the scoring of the controversial touchdown. "It was like a brillo pad," Whittemore said of the Tartan Turf. "Because of that surface's abrasiveness, plus the heat and humidity of the game, staph infection would go through the team that year. I don't know if the turf was the real cause of everyone having staph, but that's what we blamed it on." With only 2:41 left in the game, and Georgia leading 17 to 9, Tennessee had possession at its own 20-yard line. "I was standing on the sideline, and just like everyone else, I thought we had already won the ballgame," Whittemore admitted. 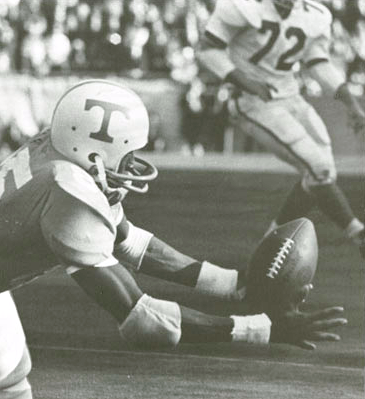 Tennessee quarterback Bubba Wyche began moving the Volunteers towards the Bulldogs’ goal. 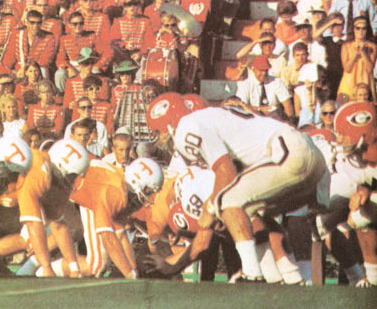 Tennessee faced a second and goal on Georgia’s 4-yard line with approximately 30 seconds remaining but successive eight-yard sacks by Billy Payne and Bill Stanfill, respectively, pushed the Volunteers back to the 20-yard line. Tennessee faced fourth and goal with enough time remaining to run just one play, but then, it happened. Wyche dropped back in the pocket, set himself, and fired a pass over the middle to Gary Kreis. Just as Kreis tried to make the catch near Georgia’s goal line, cornerback Penny Pennington hit the receiver, evidently jarring the ball loose. Kreis rolled into the end zone and in the process, gained possession of the football. To Georgia’s disbelief, officials ruled a Tennessee touchdown. With time expired and trailing by two points, Wyche passed to tight end Ken DeLong for the conversion to end the game in a 17-17 tie. "What I really remember about that game is Tennessee entered ranked [9th in the nation]—we weren't—and they were a substantial [7-point] favorite," Whittemore recalled. "But, when the game ended in the tie, we were really upset, while they were all happy—ecstatic—about the tie. It should have been the reverse." Two days later, reports were disclosed that Kreis had actually trapped the football as he rolled over Georgia’s goal line. Members of the media examined game film and concluded that Wyche’s pass definitely bounced from Kreis’ hands to the turf and then bounced off the hard surface directly back into his arms as he rolled into the end zone. Evidently, as Pennington and Kreis rolled over the goal line, the receiver was still trying to gain possession. "Whether [Kreis] caught it or not, it's history—they scored on us," Whittemore said. "That was the way it was back then—officials made bad calls all the time. Bad calls—you lived with them; they were part of football." Whittemore's head coach agreed. 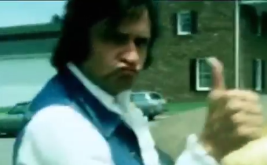 When UGA was asked to comment on the media's findings the next week, only Vince Dooley responded, and it was certainly short and to the point: "You don't win football games on Sunday." The Bulldogs would find some solace of sorts seven weeks later in Athens, when outgained by the Houston Cougars 532 to 276 in total yardage, Georgia somehow came away with a 10 to 10 tie. “Unlike at Tennessee, against Houston, we celebrated after that tie like we had won!" McCullough informed me. "When you allow an opponent to move up and down the field all day and they score only 10 points, you’ve accomplished something." TDs in college football history. Ultimately, Georgia would come out on top, finishing the regular season undefeated and as SEC champions. Despite a loss to Arkansas in the Sugar Bowl, the Bulldogs were declared national champions at season's end by the Litkenhous ratings. 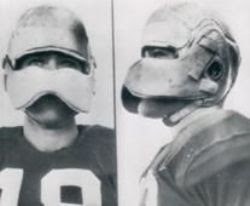 Reflecting upon the 1968 season and Georgia's tie against Tennessee, followed by the second draw coming against Houston, Whittemore stated, "sometimes you don't have things go your way, but sometimes you do..."
"Like last year, we maybe should've beaten Auburn, but if not for a fumble by Tennessee ("Pig" Howard) in overtime, we might have lost to them too, but it was the other way around—we beat Tennessee." 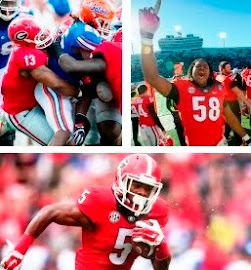 I want to thank Coach Whittemore for giving his account of when a "great" play wasn't so much, but also reminding me of one that actually resulted in Georgia's favor during the last several years; here's to a couple more great plays resulting in 2014. Moreover, I appreciate being reminded that sometimes we tend to focus on when things don't go our way, and neglect to recognize all the times when they do. As always, great article Patrick! The Dawgs have had many memorable moments during my life time, but definitely some daggers to the heart as well. There have been other tough calls against UGA that led to losses. Sanks fumble certainly stands out, and even the phantom holding call in Columbia 2 weeks ago are memorable. I'm going way back on this one, but I vaguely remember a call going against the Dawgs late in the '86 Hall of Fame Bowl versus Boston College helping the Eagles beat the Dawgs late in the game??? Thanks for the outstanding nostalgia!!! Whittemore, DGD. Damn good article! You don't see any Georgia players around the ball acting as if the pass was dropped??? No negative reactions at all post the play? Number 19? had the best view in the house if there was a bobble! Not seeing anything here.